Our clinical program is designed with the long-term home PN (TPN) consumer in mind. Board Certified Nutrition Support pharmacists, nurse, and dietitian are available to address any clinical issue. With their background training, expertise, and experiences comes a wealth of clinical information which is focused on meeting the needs of our long term HPN consumers. Our research program supports the clinical program at Nutrishare as we strive for continuous improvement in our knowledge which is vital for the care of our consumers. The results of our research bring best practice home TPN guidelines and provide answers to questions which will ultimately benefit our consumers. Our spectrum of clinical expertise is wide and enables our clinical staff to interact effectively with you and your health care team of professionals. With the excellence and focus of our clinical program, the result is improved outcomes, more effective HPN therapy, and reduced risk of potential complications. It is our goal to translate this into fewer hospitalizations and improved quality of life for our HPN consumers. By providing the ‘state of the art’ in every aspect of Home TPN care, our consumers can expect to reduce the risk of complications associated with long-term Home TPN compared to non-Nutrishare Home TPN consumers. 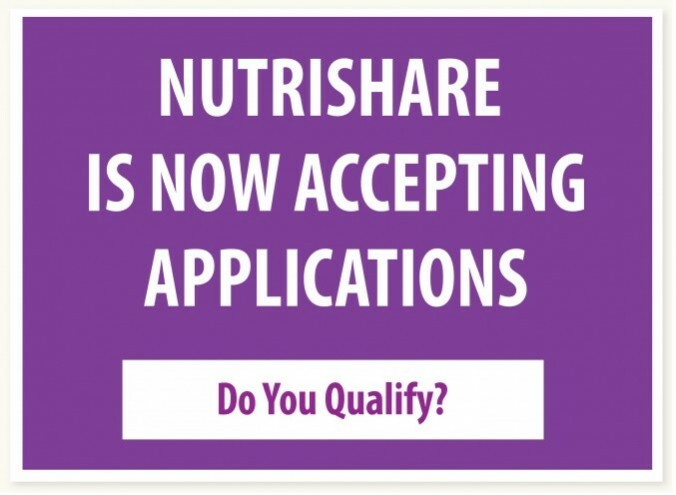 Nutrishare clinicians are hired for their TPN and/or home infusion experience. 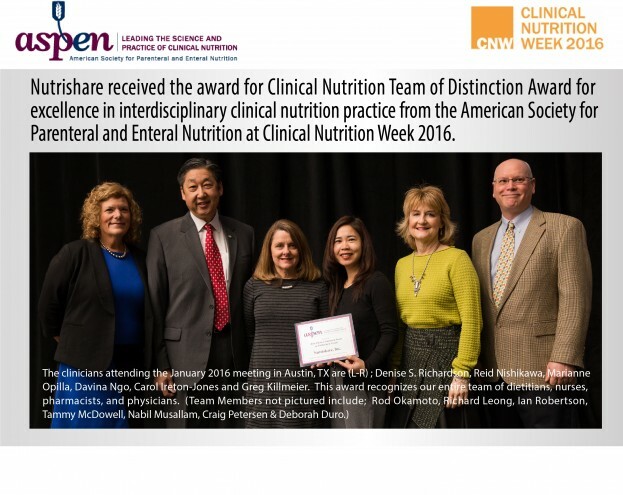 Many of whom hold one of the following; BCNSP (board certified nutrition support pharmacist) or CNSC (certified nutrition support clinician) and all of them gain more specialized experience and expertise with each passing day. Nutrishare is committed to offering the ‘state of the art’ in technologies that could benefit the Home TPN consumer. Nutrishare was one of the first Home infusion organizations to evaluate the chlorhexidine/alcohol (Chloraprep) catheter-site antiseptic as a replacement to povidone-iodine and together with the manufacturer, conducted one of the first ‘patient satisfaction studies’ using this product. Nutrishare has collaborated with manufacturers to identify ways to reduce the potential of blood backing up into the catheter by supporting and selecting catheter connection devices that minimize this risk. The Accreditation Commission for Homecare (ACHC) has recognized Nutrishare as the only Homecare pharmacy in the country, certified as ‘specialists in Home TPN care’. Looking for home TPN guidelines or have questions? Speak with a Nutrishare pharmacist about your TPN care today.